We are working in the exciting area of medical imaging technology. We develop and apply methods and technology for in-vivo imaging of functional information and biomarkers. Our research includes development of biophysical models for image analysis, implementation of new methods for image encoding and reconstruction as well as prototyping of specific hardware solutions. The scientific activities are organized in a research group for near field imaging technologies and a research group working in the field of in-vivo magnetic resonance. 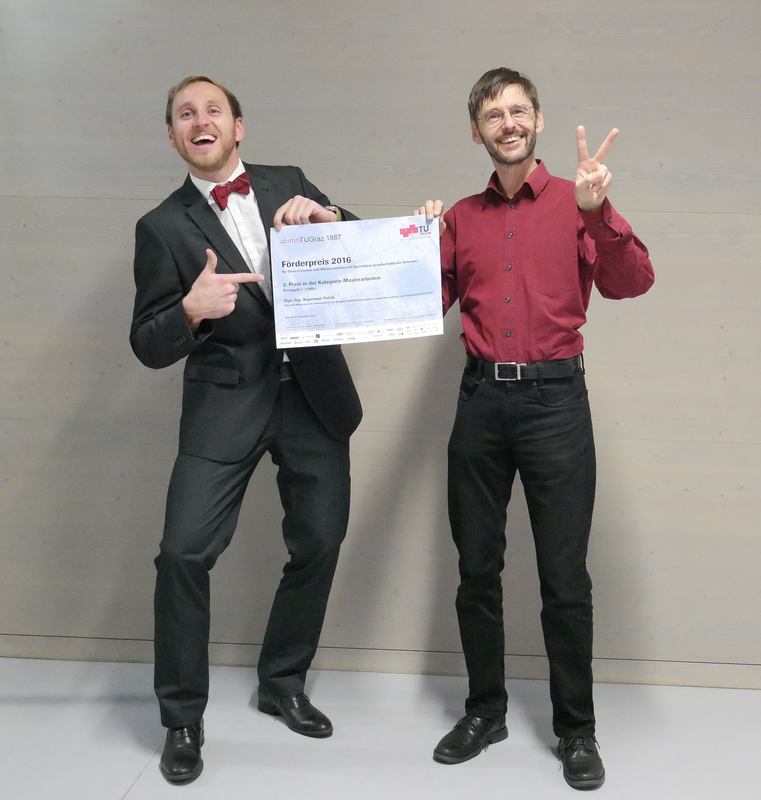 Patrick Aspermair (left) wins the second price of the ,,Förderpreis des Forums Technik und Gesellschaft 2016". Patrick is one of the recent graduates of the BME master's curriculum and was supervised by Herrmann Scharfetter (right) at IMT.